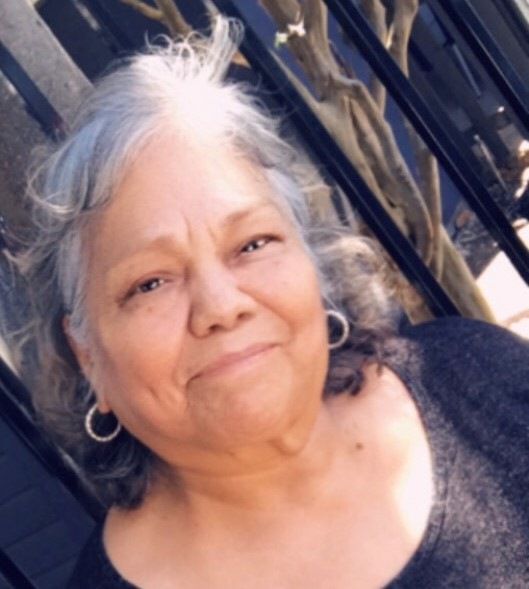 Juanita Alba, 67, passed away on Wednesday, February 13, 2019 in Laredo, Texas. She is preceded in death by her parents Carmen and Aurora Alba; siblings, Esperanza Flores, Paulina Rodriguez, Maria del Carmen Alba, Aurora Alba, Yolanda Flores, and Oscar Flores. Left to cherish her memory is her husband Juan Torres; children, Maria (Eduardo) Garza, Paula (Guillermo) Rojas, Maria de la Luz (Jose Juan) Malacara, Maria Guadalupe Torres, Alma Torres, Dalia (Francisco) Arroyo, Guillermo Pedroza, Tania (Bogar) Rodriguez, and Michelle (Jesus) Gomez; siblings, Raul (Yolanda) Alba, Juana Iliana Alba, and Estrella Flores. She is also survived by 25 grandchildren, 24 great-grandchildren, 2 great-great grandchildren, nieces, nephews, other relatives and friends. A visitation will be held on Friday, February 15, 2019 from 5:00 p.m. to 9:00 p.m. at Gamez & Sons Funeral and Cremation Services where a rosary will be recited at 7:00 p.m.
Funeral service will be held on Saturday, February 16, 2019 from 7:00 a.m. to 10:30 a.m. at Gamez Funeral Home and Cremations Services. Cremation will be held at a later date.